"Full of Sound and Fury, Signifying Nothing"
I've read three books in the past month and all have been outstanding. Tender Morsels by Margo Lanagan is one of the best fantasies published last year. It is marketed as "young adult" but don't let that arbitrary categorization fool you. This is a book for sophisticated readers of any age. I read an advanced copy of The City and The City by China Mieville and was quite impressed. This is a book that will generate a lot of talk in the coming months. The book reads like a fantasy but most assuredly is not. Mieville posits two fictional European cities that occupy the exact same geography--the exact same spot on the globe. The only thing that keeps the cities separate is the mental effort of citizens to recognize only elements of their respective cities--their fashions, buildings, foods, etc.--even if they are standing next to a citizen from the other city (whom they must "unsee"). Mieville uses so many recognizable fantasy tropes (words like alterity and breach and cross-hatching and unsee) that you aren't sure what he is doing until well into the story (that is if you haven't been warned by someone who's read it already!). The book is very good but I suspect some will wonder why Mieville created such an outlandish scenario and yet refused to make it fantasy. I think the book is a success however and that Mieville has done something unique and relevant. I will have to write more about this book soon. I read Rogue Male by Geoffrey Household, a classic chase story written in 1939. It still holds up extremely well today (I guess that's why they call it a classic). Finally, I was quite impressed with the Where The Wild Things Are trailer. I look forward to seeing this movie in October. Dave Eggers is supposedly writing a novel adaptation of the film called The Wild Things. I am both worried and excited. The two-hour series ending episode of Galactica was, to say the least, underwhelming. It was noise and bombast and then emotion and irony and it fell far short of being in any way satisfying. Long ago it became painfully obvious that the series writers were making things up as they went. As a viewer of much television over many years I have developed a certain tolerance for this modus operandi. It is common practice for most TV writers to plot for the short term. But worse than "making things up as you go" is unmaking things up as you go. When you establish some fact about a character or create a new situation in your universe we expect those new facts and situations to have some permanence. This didn't happen on Galactica. Characters constantly underwent personality changes or found themselves in new and unlikely situations only to change again at the whim of the plot a few episodes later. It happened so much it became tiresome to watch Battlestar Galactica. Remember how Lee Adama became commander of Pegasus, then a lawyer, then inexplicably the president of the Colonies? This was after Baltar went from eccentric scientist to vice-president to, you guessed it, president. And let's not forget the most painful and obvious "unmaking" of all: In season 3, Starbuck finds Earth--a planet that exists in our exact solar system and looks exactly like our Earth. The refugees reach Earth only to find it a radioactive ruin. Earth, it seems, is a lost cause. But in the finale, Starbuck guides the fleet to another Earth. Again, it looks exactly like our Earth (same continents, single large moon, etc.). We're supposed to believe (now) that the first Earth was false, despite the painstaking detail that earlier established it as the one and only Earth. This final "plot twist" of a second Earth is unforgivable. It is shameful and insulting and damning evidence that the writers had little faith in themselves and no regard for their audience. Few shows have started out so well and ended up so poorly. The first season-and-a-half of Galactica was superb. It invited repeat viewings if only for the sheer power and excitement of the battle sequences. But the show was so much more than fancy effects. The characters were complex and flawed and the mythology held such promise. The Cylons had a plan! The colonists had clues to find Earth! But we soon learned that there was no plan (or too many). And the clues to finding Earth were arbitrary. Many will debate exactly when Battlestar Galactica went awry. For me, it was one specific moment: When Commander Cain is eulogized by Starbuck. Suddenly Cain, who behaved like a tyrant, was depicted as a hero. Why did Starbuck praise Cain? No normal character (especially Starbuck) would ever think well of such a dictator. It was here, at this moment, that character development was sacrificed for the arbitrariness of plot. No longer would characters act according to the events around them. No longer would they develop in way that made sense. From this point forward they would behave as the plot demanded. As a result they became cardboard cutouts or worse, puppets whose actions were completely at the whim of writers who did not know where the show should (or could) go. I loved Galactica for a time. And though there were some good and great episodes in the seasons that followed the Pegasus arc it became impossible to overlook the slipshod way in which the show was handled. The last episode encapsulated this disregard for plotting. Everything felt contrived. Throw-away scenes from earlier episodes were shoe-horned into an increasingly nonsensical plot and for awhile you wanted to turn away in embarrassment for everyone who was involved. In the end the writers could only rely in the ultimate deus ex machina ending (God's grand plan) to establish any kind of lasting closure for their seasons-long storyline. It was sloppy, amateurish writing and a sad end to a once great series with wonderful potential. R.I.P. Battlestar Galactica. Yours was a long and painful death. There was a period of about four years after David Lynch's work on Blue Velvet that was, as Greg Olson explains, abundantly productive for Lynch. He continued to paint and then, with a lucky break and growing confidence, showed his work in galleries in New York and Los Angeles. He co-starred with Isabella Rossellini in the feature film, Zelly and Me. He directed the short film, The Cowboy and the Frenchman, for French magazine, Figaro. And then he began a fruitful partnership with Mark Frost that had him deeply involved in three projects which never came to fruition but which planted the seeds for one of the most striking television series ever—Twin Peaks. Olson provides some good background on how Frost and Lynch teamed up. Most Peaks fans know that they were brought together by Lynch's agent, Tony Krantz. Soon the duo was producing scripts. First up was Venus Descending, a biography-drama about the life and death of Marilyn Monroe. Then they pitched the idea of a of science fiction TV series, The Lemurians, in which detectives would probe the possible presence of aliens on earth. Finally, they produced a script for a comedy film entitled, One Saliva Bubble. (The story tells the tale of a freak accident that causes people to switch identities.) None of these projects ever came to be (One Saliva Bubble may have come closest to production) but each contributed a significant piece to the eventual Twin Peaks universe: From Venus Descending, the mysterious death of a beautiful and much-admired young blonde woman (and the name Norma Jennings); from One Saliva Bubble, the idea of variable identity; and from The Lemurians, the scenario of the FBI investigating the supernatural. Stymied by the collapse of these early productions, Lynch and Frost huddled together to produce the script for the Twin Peaks pilot. They pitched it to ABC and got the go-ahead to shoot. 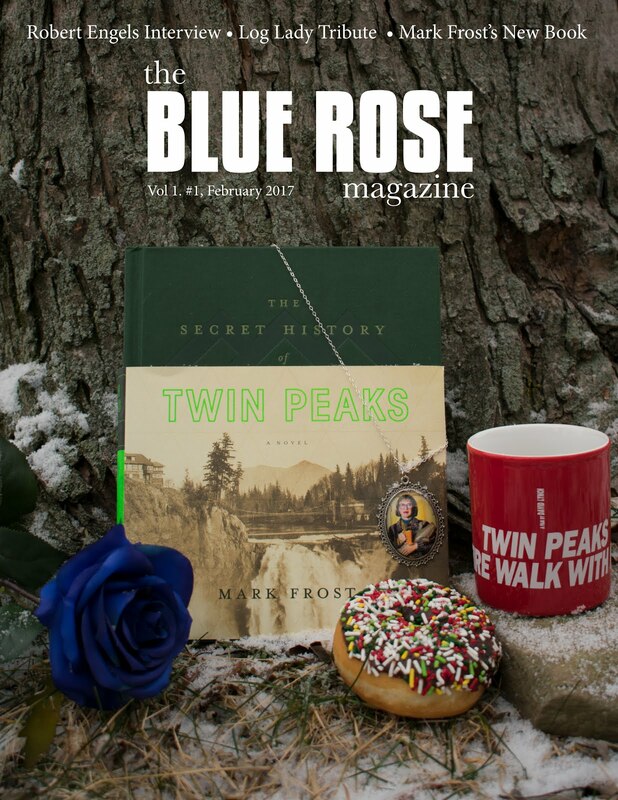 The rest is history, although for this chapter Olson is only interested in examining the early days of Twin Peaks (presumably there will be much more to come in Chapter 8 of Beautiful Dark; there, Olson will look at Peaks season 2 and the film, Fire Walk With Me). 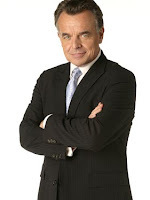 After a thorough look at the pilot, Olson turns his attention to the second full hour of the series—the only other episode of the season directed by Lynch. Of course, most of his analysis centers on one of Twin Peaks' most riveting sequences: Dale Cooper's dream. Here, Olson shows how the dream allowed Laura Palmer to become an active and enduring presence in the narrative. Cooper did not merely dream about Laura, he became explicitly connected to her: "She is [. . .] his truly significant Other." 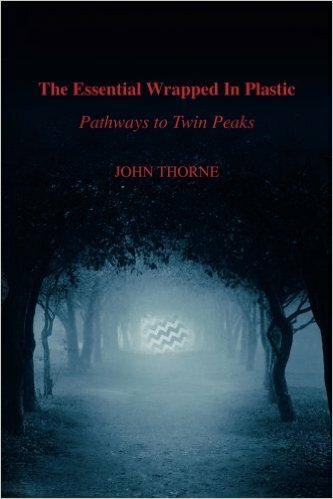 (p. 292) This is a crucial observation because even though Laura Palmer is dead in the series she is still a vital presence in the story. The dream sequence underscores how—almost from the beginning—Lynch was interested in bringing Laura "back to life" and transforming her from a simple plot object (dead victim) to an autonomous subject (story protagonist). Lynch will make a far more valiant effort at such a transformation in Fire Walk With Me. The lack of discussion about the origin of the dream and how it's placement into the narrative would affect the trajectory of the series seems like a significant oversight. Still, Olson gives the dream its due, exploring its unusual format and showing how it fits perfectly with Lynch's filmic sensibility. Olson completes the chapter with discussion of the rest of the first season and looks at the phenomenal public reaction the series garnered. He also looks at the critical role Mark Frost played in the production and how collaboration was both a boon and burden for Lynch. Twin Peaks remains one of David Lynch's greatest accomplishments and Olson does justice to the first season in this mesmerizing chapter. And there is still so much more Twin Peaks to come. I really liked it. I mean a lot. I won't say I loved it; there are parts that I think are too extreme (the graphic, gory violence was in the comic but never to the degree seen here). But there are other parts that were mesmerizing: the wonderful opening credits, the origin of Dr. Manhattan, Dan and Laurie eating dinner as seen through a window reflecting the lights of the city. Rorschach. And the ending. I posted a month ago that might prefer the new ending to the flawed ending of the comic--and I do. I actually think that new ending (which I won't spoil) thematically fits with the rest of the story (particularly that of Dr. Manhattan). I think the ending respects the work. I think it was thought through by the director and screenwriters. I think it makes sense. And I think I am likely in a very small minority. But so be it. I will likely write more about Watchmen in the future. But for now I am quite satisfied. It was a great movie experience. I never expected the series to get renewed but someone at the network liked it enough to give it another half season. I think we may get another 12 episodes or so. And then I bet it's gone for good. Still, if you're looking for a fun diversion and some genre TV that's a bit more light-hearted than most of what's on right now, look no further than Reaper.